Internet is an essential part of our everyday lives these days, and while we survived on fixed lines and dial-ups in the past, it seems like we cannot survive without our mobile data whenever we are out and about these days. Wi-Fi connection is of course important as well when we get back home, because who would actually wan a LAN cable attached to their devices? We all love the Wi-Fi connectivity, without the physical connection don't we? I had never bought any Wi-Fi router before, because they always came free with my broadband contract with the telco. I would like to assume that the models worked reasonably well since they had to be used by so MANY subscribers. 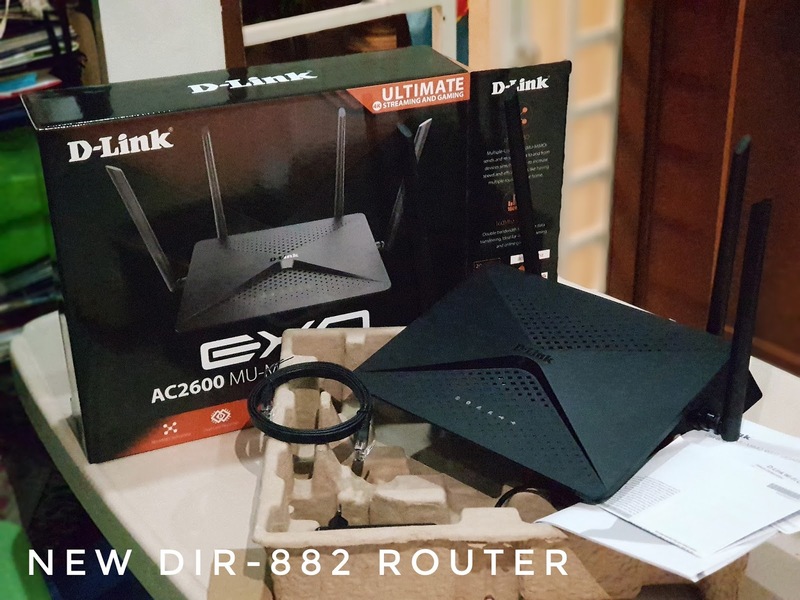 In my case, my old router was a D-Link DIR-850L was from Starhub as well. I thought it worked quite well, till my wife complained of slow loading of her Korean drama when in our bedroom, after which we got a extender which improved the situation. 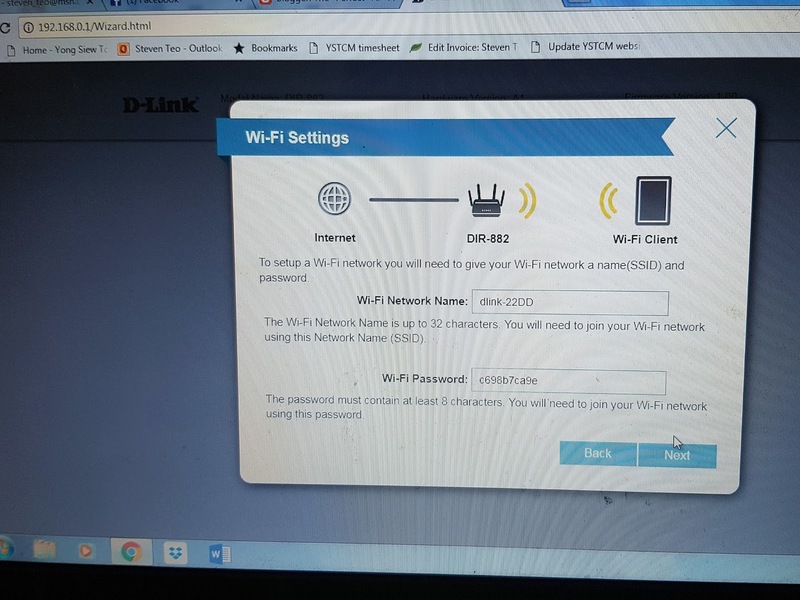 As the saying goes, “a chain is only as strong as its weakest link” and it holds true for all things, even for Wi-Fi connection. You can subscribe to the fastest speed from your telco, but you still require a good modem and router to be able to broadcast the Wi-Fi out. 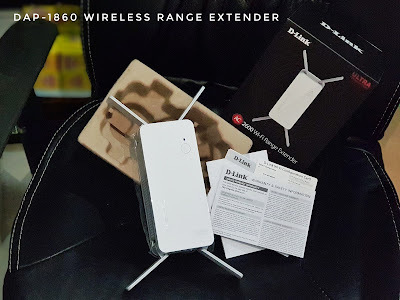 Let me introduce you to the DIR-882 AC2600 EXO MU-MIMO Wi-Fi Router which we had the good fortune to try out. 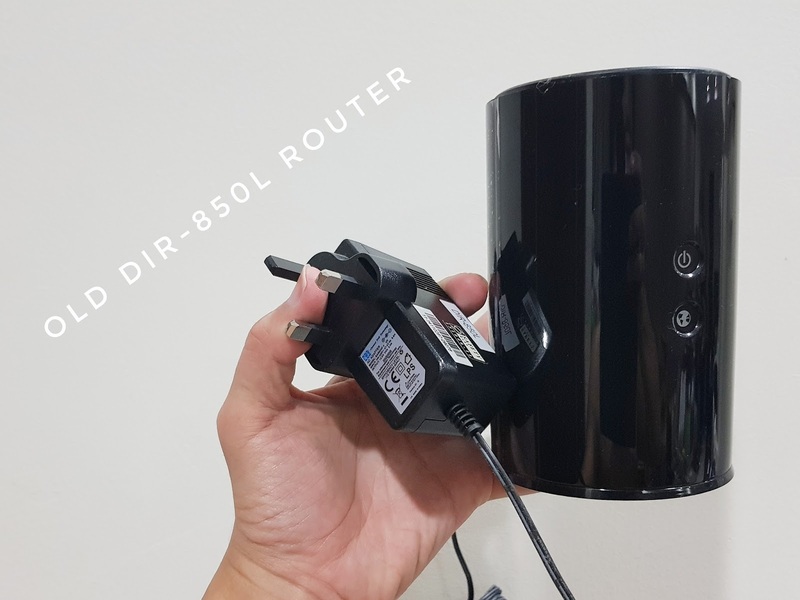 Where my old D-Link DIR-850L was a simple cylindrical-shaped device, this new router sure looked intimidating and beastly with its four antennas sticking out from the sides. The download speed I got from the old modem. I did a speed test on the old router setup and it showed a download speed of 35.4Mbps on my mobile device in my master bedroom before the new setup. 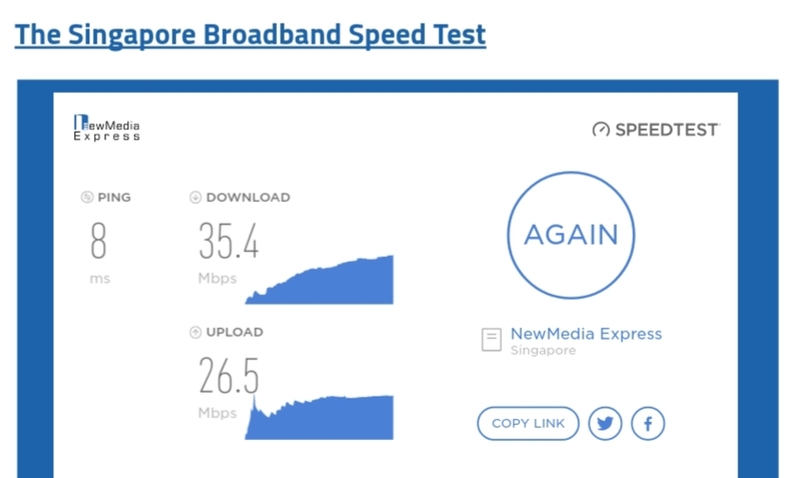 After changing my router to the new DIR-882 and pairing it with the DAP-1860 AC2600 MU-MIMO Wireless Range Extender, it actually increased my download speed to 47.1Mbps from the exact same position! I am no techie and I have to admit that I know very little about what all these numbers mean but I can safely say that the loading of browsers and rendering of videos are so much smoother now and the uploading speed also increased from 26.5Mbps to 47.1Mbps! Paired the new modem with another 4-antenna device! The DAP-1860 extender which supported multi users well too! Pretty good increase of downloading speed! Just so for the sake of my own curiosity, I tried the speed test on my mobile, standing right beside my new router but it actually only registered 46.5Mbps. Weird but I guess that is about the max speed it gets, and with my new DAP-1860 extender boosting the signal into my room, there was no loss of signal nor speed! Change your device name and password after you connect to it with the original password printed on the configuration card. Setting up of the router should not faze most people as it was as easy as it can get with the steps clearly stated in the instruction booklet. And can you believe that this non-techie user did the setup in merely minutes, even without reading the instructions at all! With the school holidays now on, the kiddos have “regained” access to their tablets from your truly and could watch their favorite YouTube channels already. I still recall many occasions where they would complain of “videos not moving” due to slow speed but no issues with that now, no matter which part of the house they are, because the router support multiple users getting high-bandwidth Wi-Fi signal at the same time! 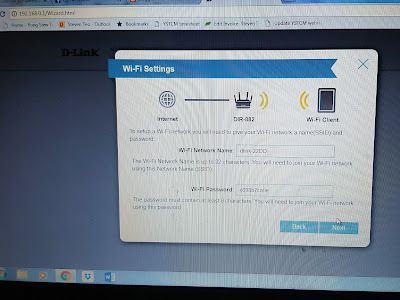 At the point of writing this post, there are a total of 6 devices (including my helper in her own room) signed onto the network and everyone was happy with the coverage. One may have a high speed plan, but it is only with the right equipment that one can enjoy the fastest speed possible and not let the monthly payments go to waste! Thank you D-Link Singapore once again, for keeping our family very well-connected indeed!